Teun came over to cook together for the first time again after my trip to Australia, and we created this appetizer together. 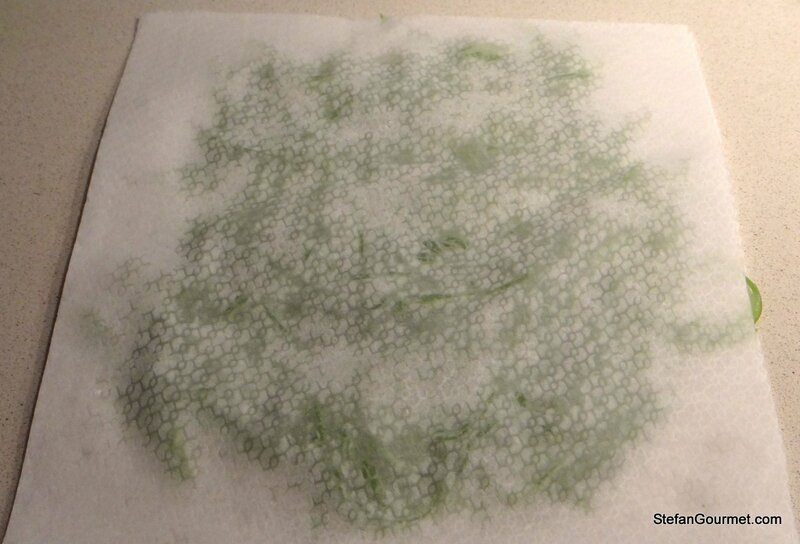 This use of runner beans was inspired by snow peas that looked like seaweed at Vermeer. 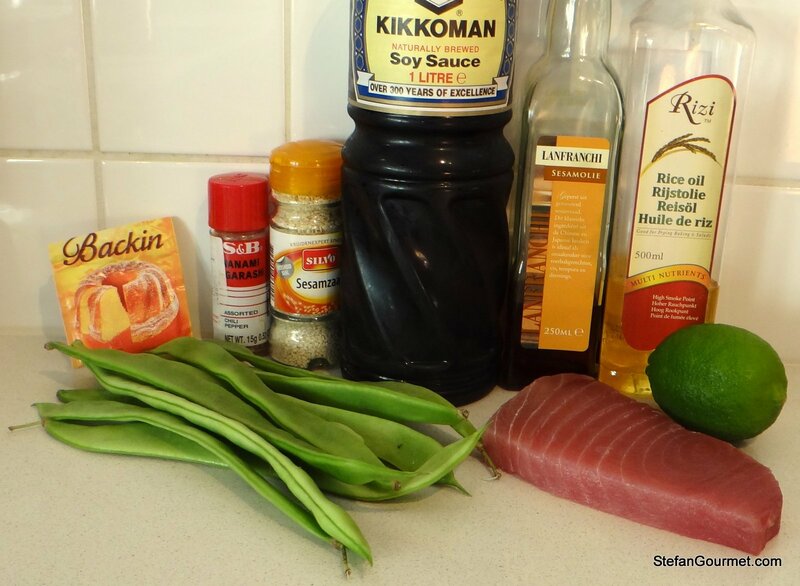 The combination of the raw tuna with the crispy runner beans and the spicy dressing works really well. 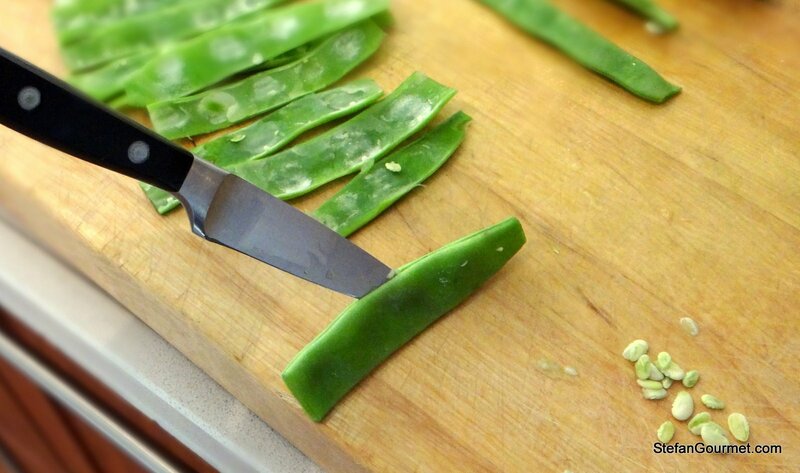 Split the two halves of the runner beans with a small sharp knife and remove the seeds. 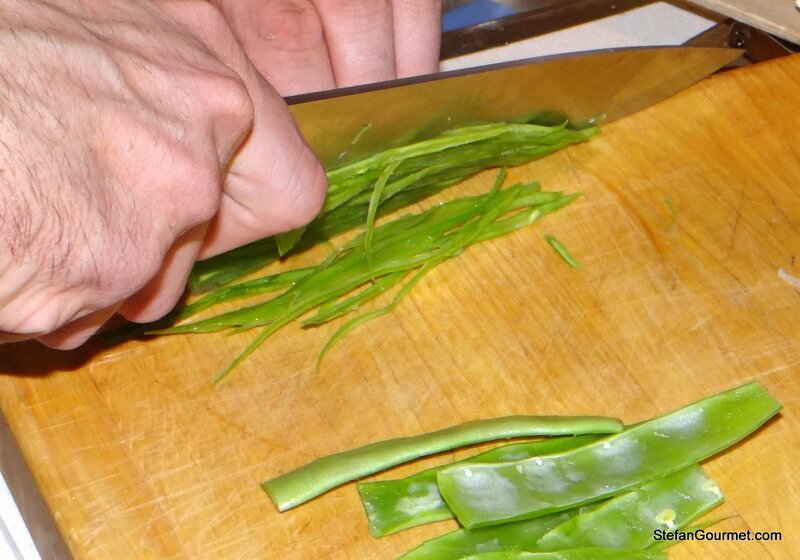 Slice the runner beans into thin strips. 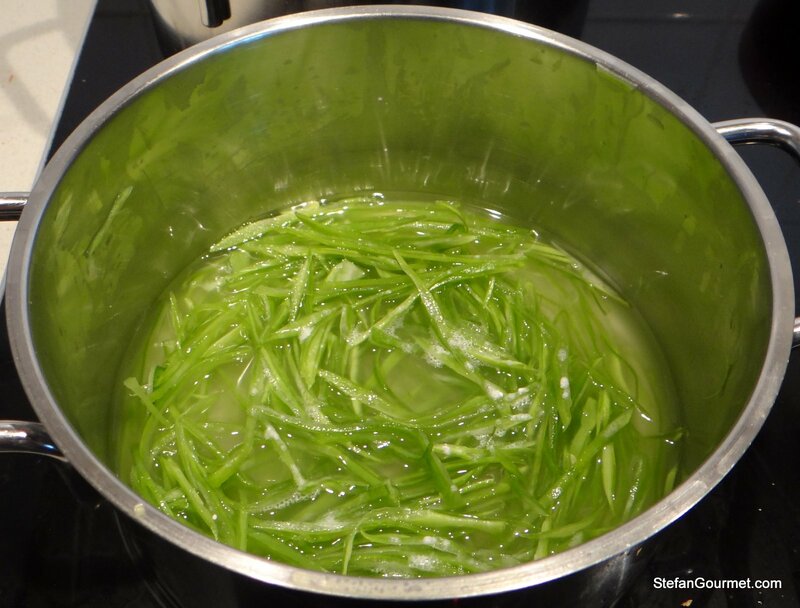 Bring to a boil and cook for a few minutes or until the beans are tender but still crispy. 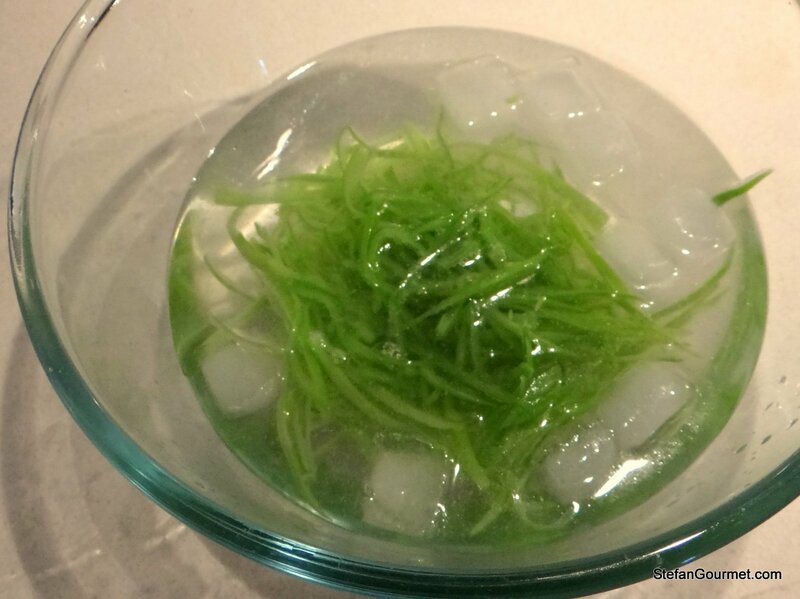 Cool them in ice water. Pat the beans dry with paper towels. Cut the tuna into tartare. Do not chop too finely if you’d like to eat this with chop sticks. We kept some of the tuna in strips to make it easier to plate. 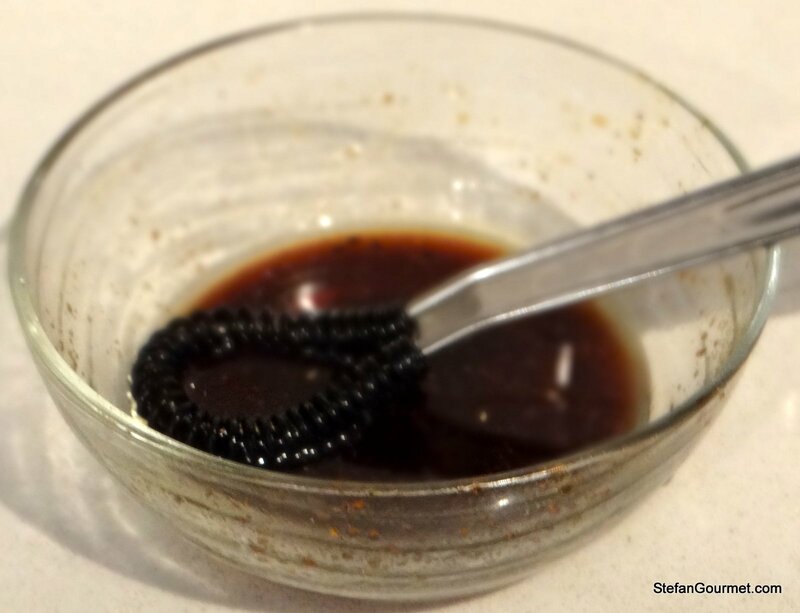 Make the dressing by mixing soy sauce, oil, sesame oil, lime juice, and shichimi tōgarashi. Taste and adjust to your liking. Mix most of the beans with 2 Tbsp of the dressing, keeping the remainer for garnish. 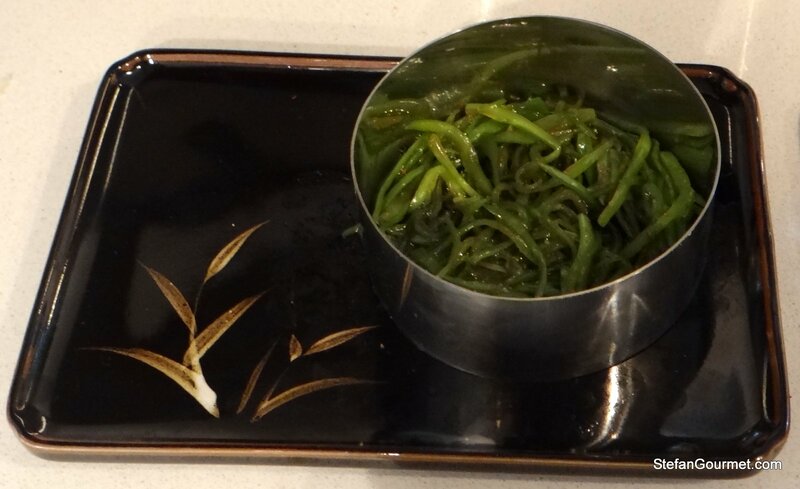 Arrange the beans on the plates using a ring mould. 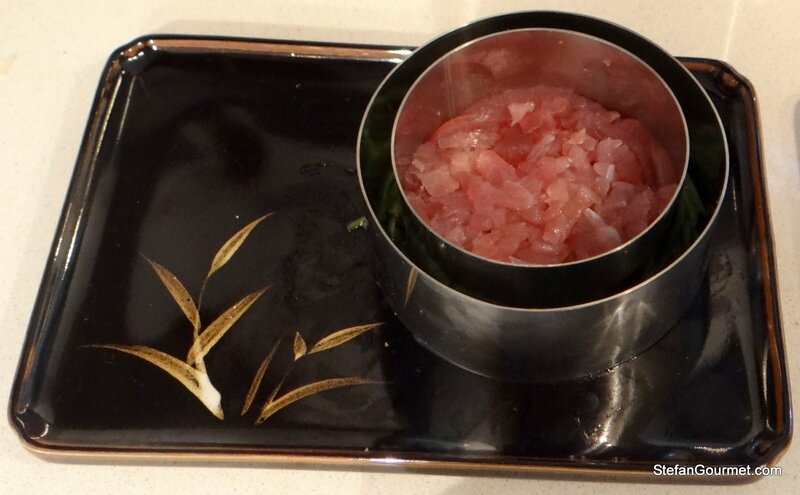 Arrange the tuna tartare on top, using the strips for the outside. Garnish with the remaining beans and toasted sesame seeds. 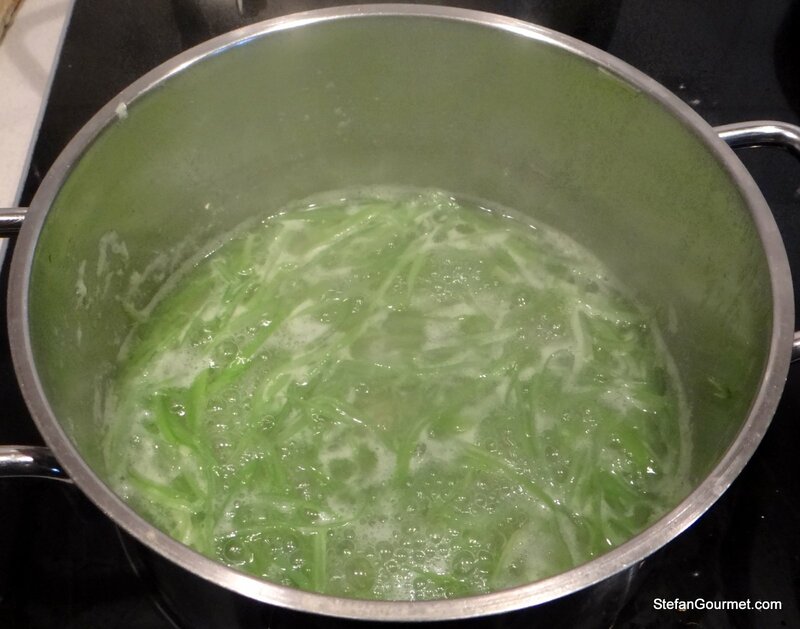 Finish with about a tablespoon of the dressing. This pairs well with a very dry rosé, like one from Provence or Sancerre. Wow. I’ve never seen rice oil. And what is that last ingredient? It’s a Japanese 7-spice mixture with chili flakes as the main ingredient. Perfect for a hot summers day! I treat myself to sashimi for lunch once a week but it’s never as pretty as yours. Very nice indeed Stefan. probablby the second best plating shot….